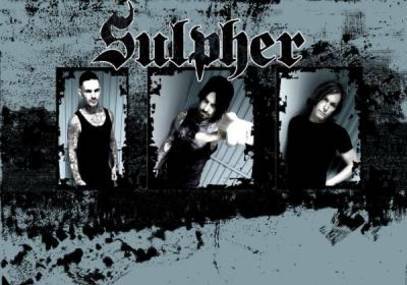 British metal squad, DAMNATIONS HAMMER also join the Sophie Friday bill. Formed as a homage to the 80’s avant garde metal scene, the band’s vision was to create doom-laden, dark, atmospheric sounds with unrelenting heaviness. Get yourself clued up by listening to ‘Temple of the Descending Gods’ - https://youtu.be/E7aEjT7yt-M - taken from their recently released opus, ‘Unseen Planets, Deadly Spheres’, which you can pick up or stream via https://lnk.to/unseenplanets. Rounding out the Sophie stage announcements for Friday bands today are Irish death metal outfit, ZEALOT CULT. Check out their concrete heavy, classic death metal noise via their EP ‘Karmenian Crypt’ over at their Bandcamp page - https://zealotcult.bandcamp.com. BLOODSTOCK’s first phase of club nights have started! More will be added for June/July, so don’t despair if your local town’s rock club isn’t listed yet. Get along to one of the following events, check out some tunes from BLOODSTOCK bands old and new, and be in with the chance of winning weekend tickets or related giveaways. There are fun ways to win - previous events have seen the likes of bucking broncos, endurance tests, and air guitar-offs! Check your local club for details, as dates are subject to change.